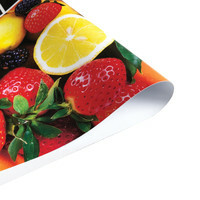 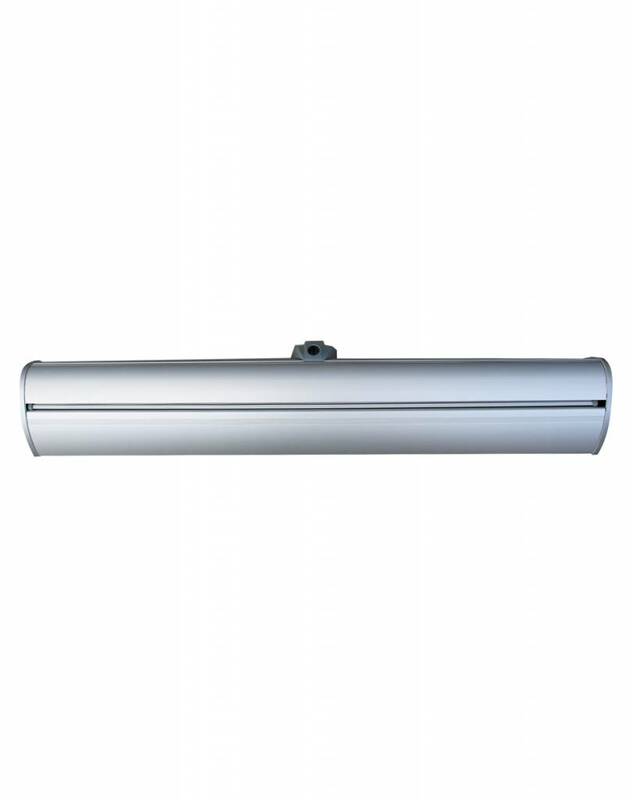 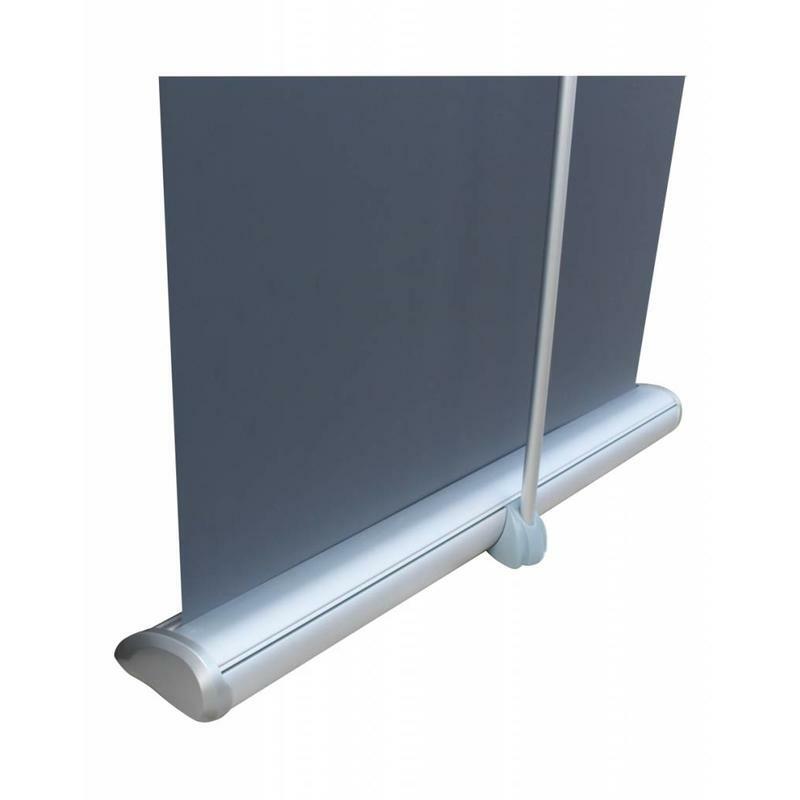 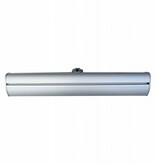 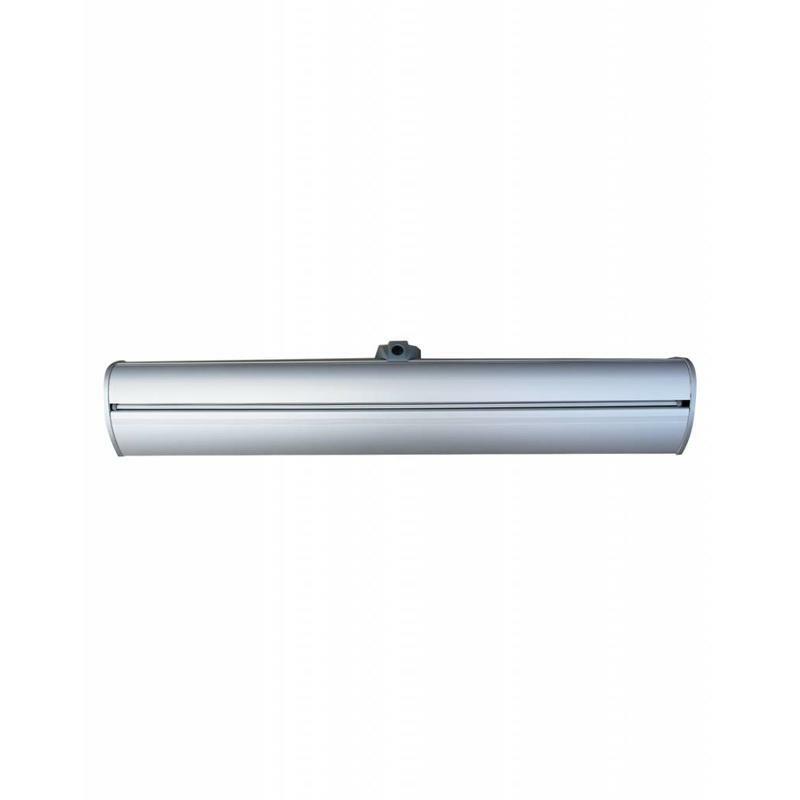 Roll up deluxe 60x200 cm is a luxuriously finished roll up, with a smooth roll up system. 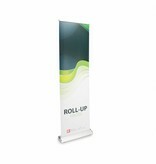 The roll up deluxe is printed in high quality and can be delivered quickly. 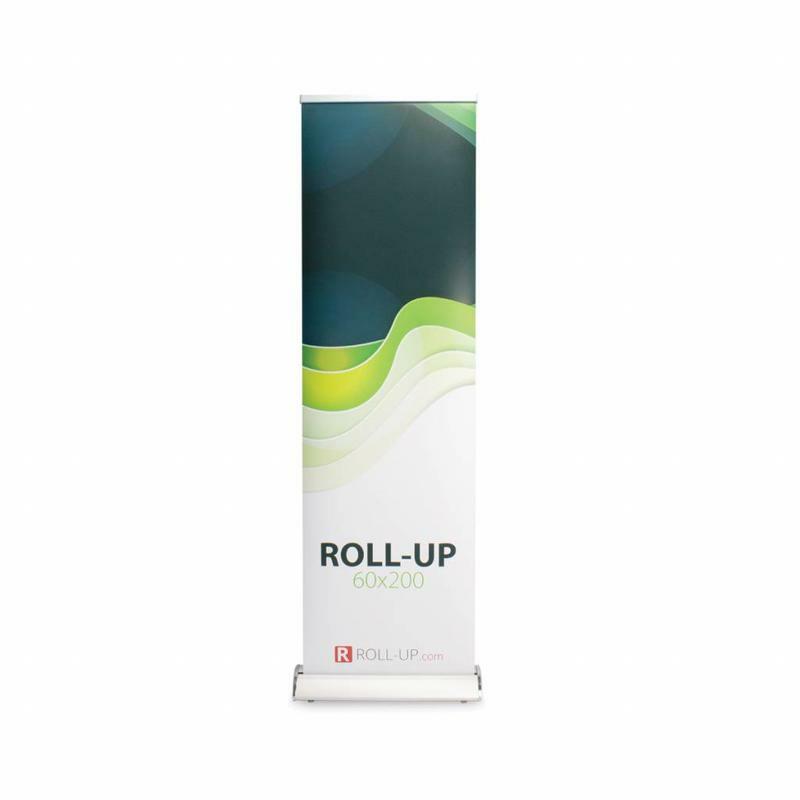 With the roll up deluxe 60, you've got a roll up banner with a refined finish and a luxurious look. 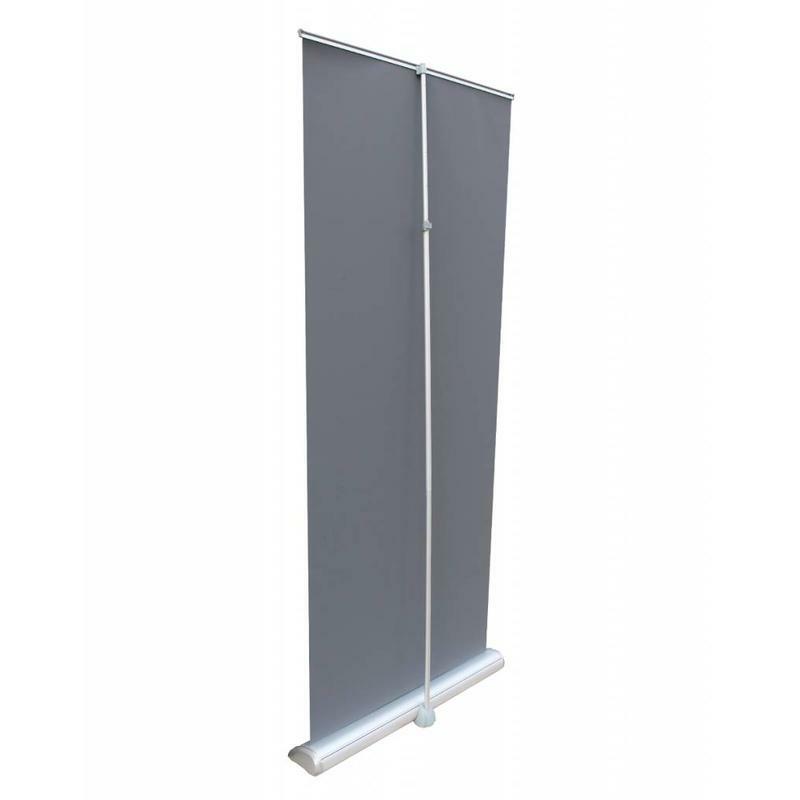 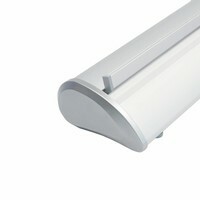 The roll up deluxe 60 is 60 cm wide and can be extended to be 200 cm in height. 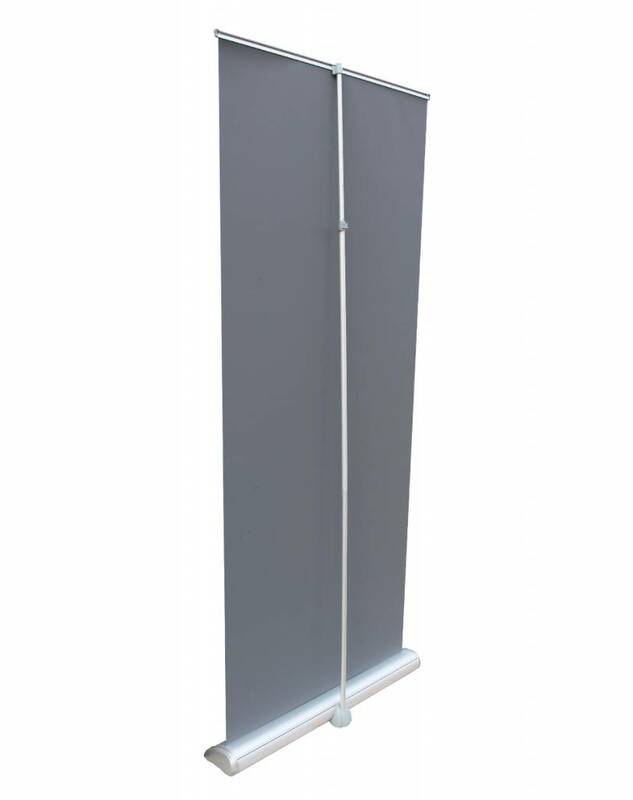 You can choose to pull up the canvas a little less, in order to make the banner less high. 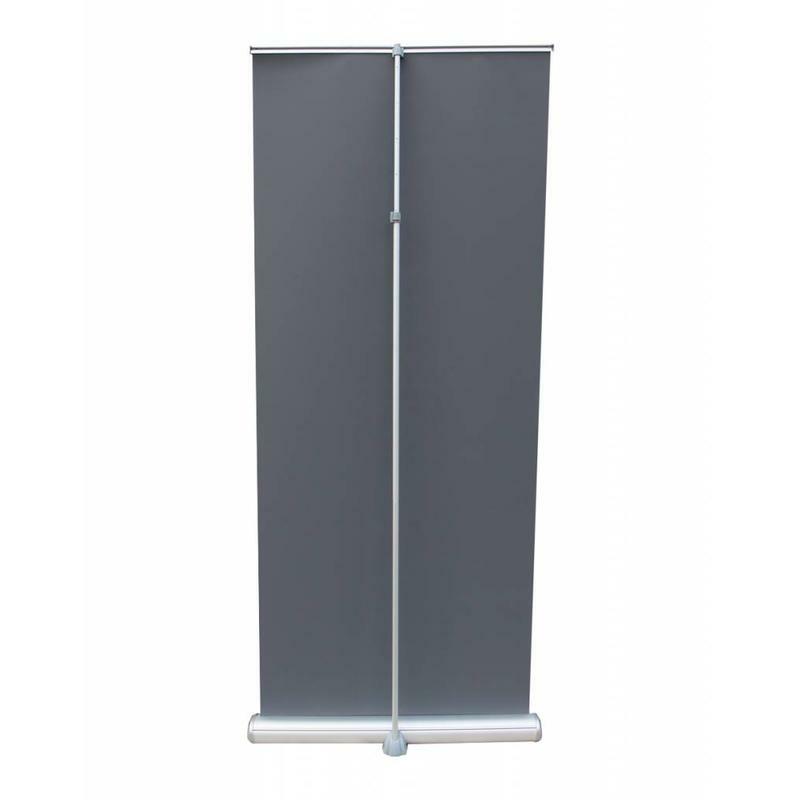 The roll up deluxe has a beautiful design, is competitively priced and can be delivered quickly. 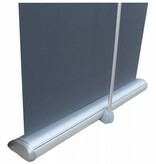 The roll up deluxe doesn't have swivelling legs, but has a wide cassette, which makes it possible to place it close to a wall. 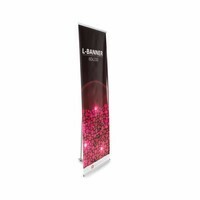 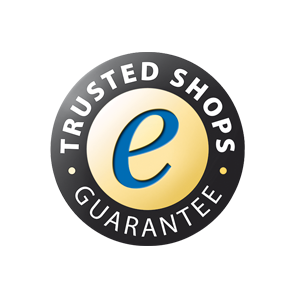 The banner can be set up quickly, and adds to the luxurious appeal of your product. 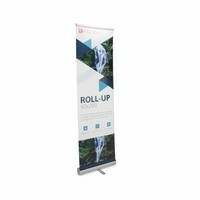 This roll up is suitable for indoor use. 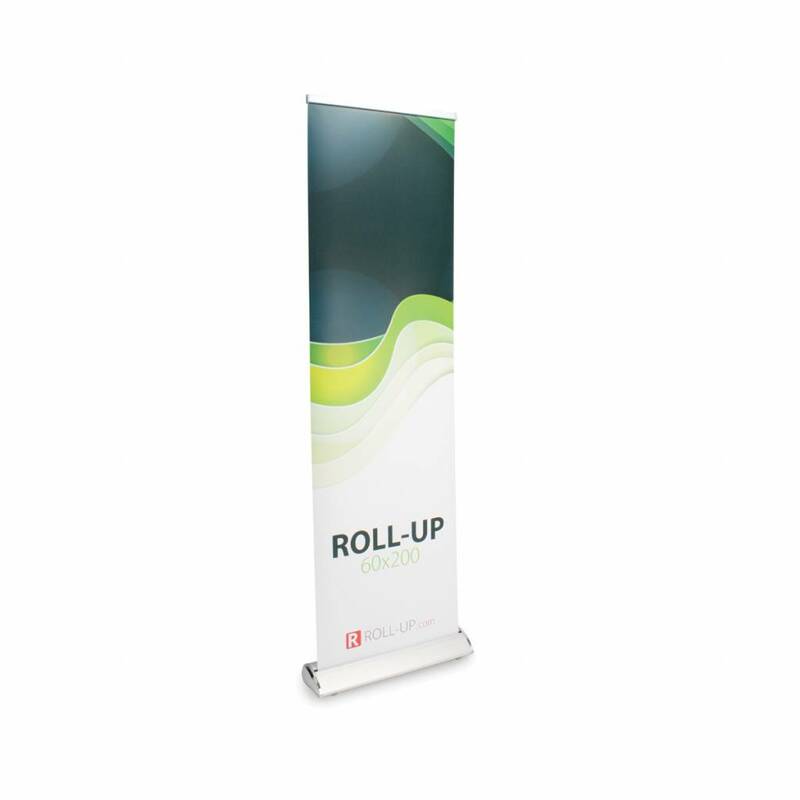 The roll up banner 60 can be set up within a minute. 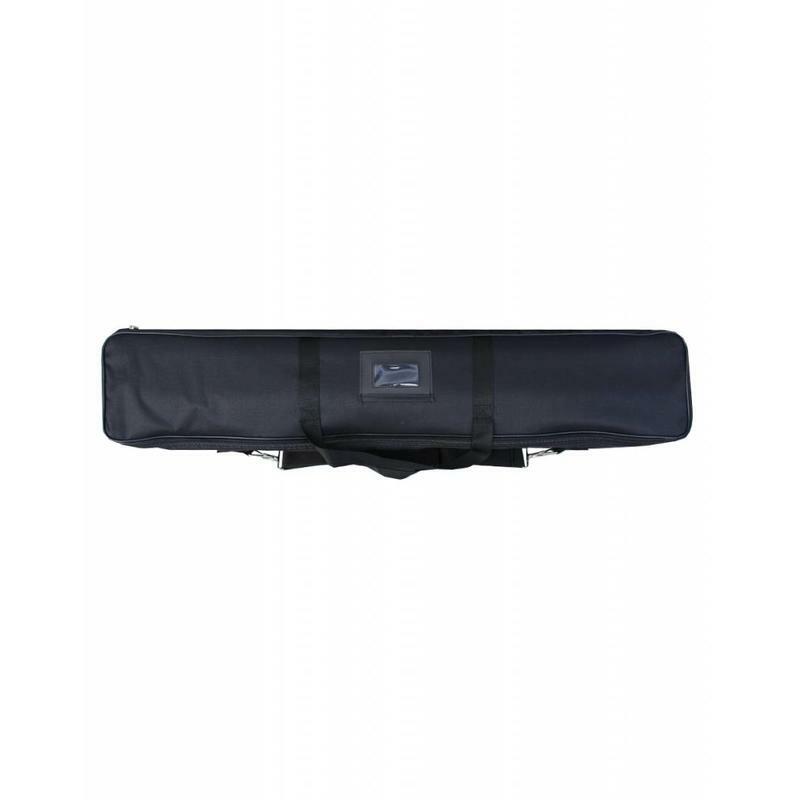 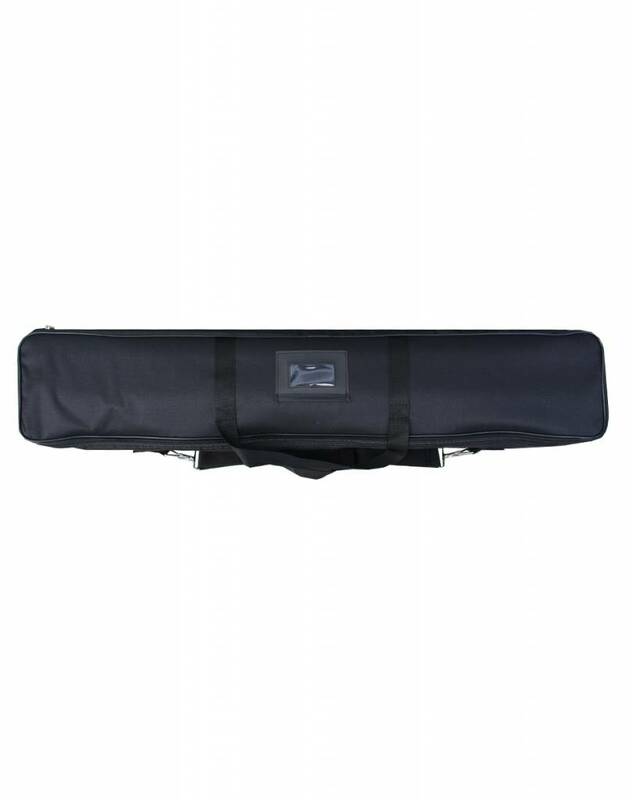 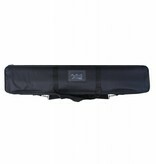 The product is lightweight, sturdy and is supplied a black nylon carrying bag, making it easy to transport it. 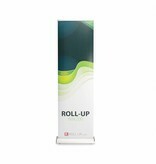 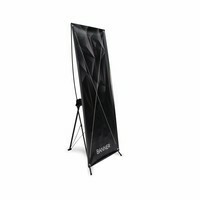 The roll up deluxe is meant to promote your product or company in a luxurious way. 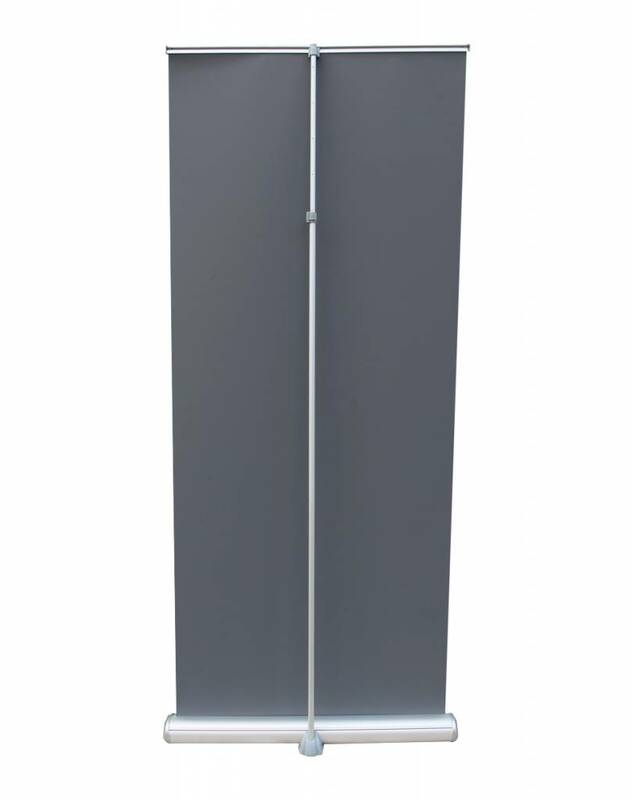 It gives everything just a bit more edge. 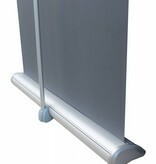 The product can be used regularly, for various occasions. 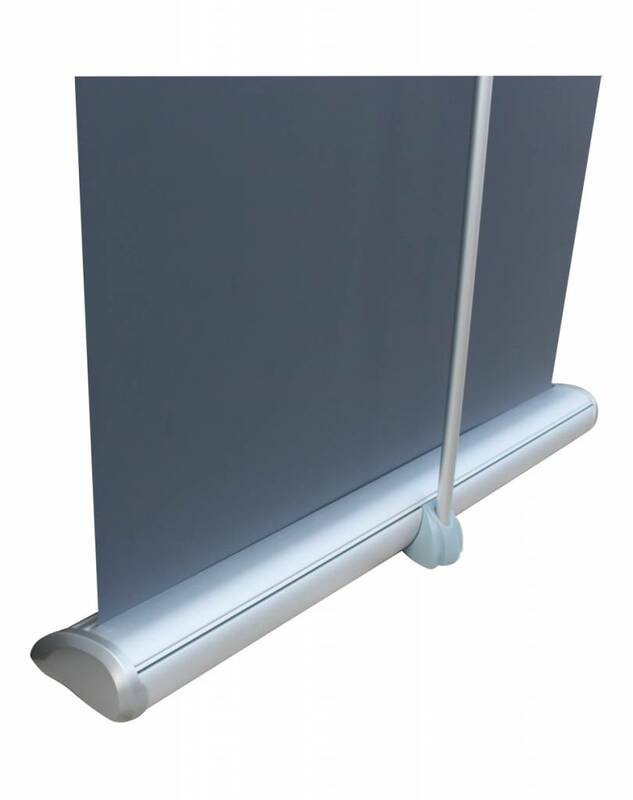 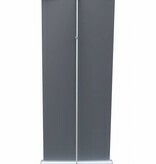 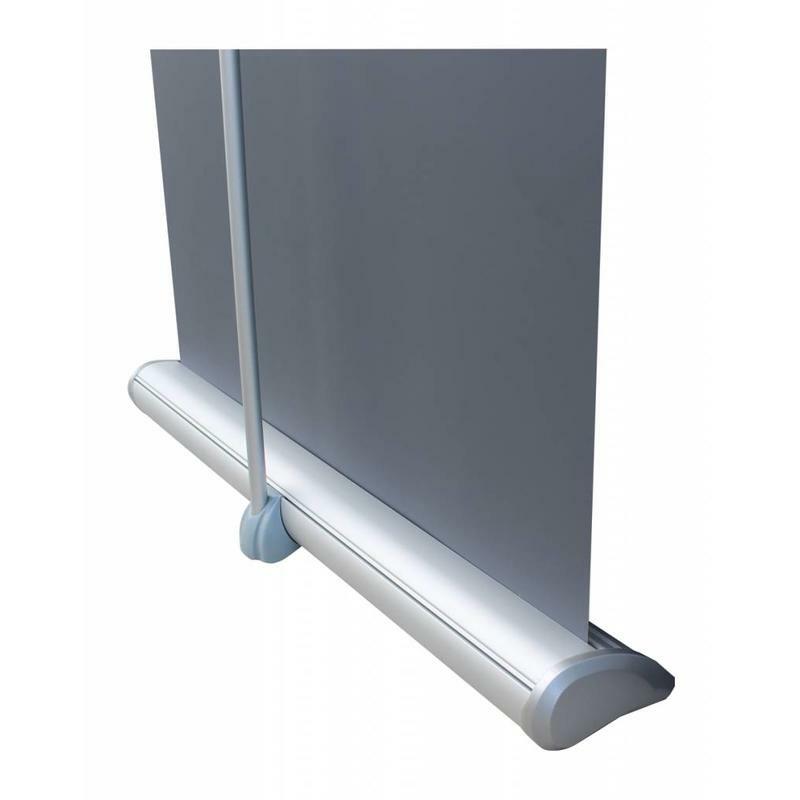 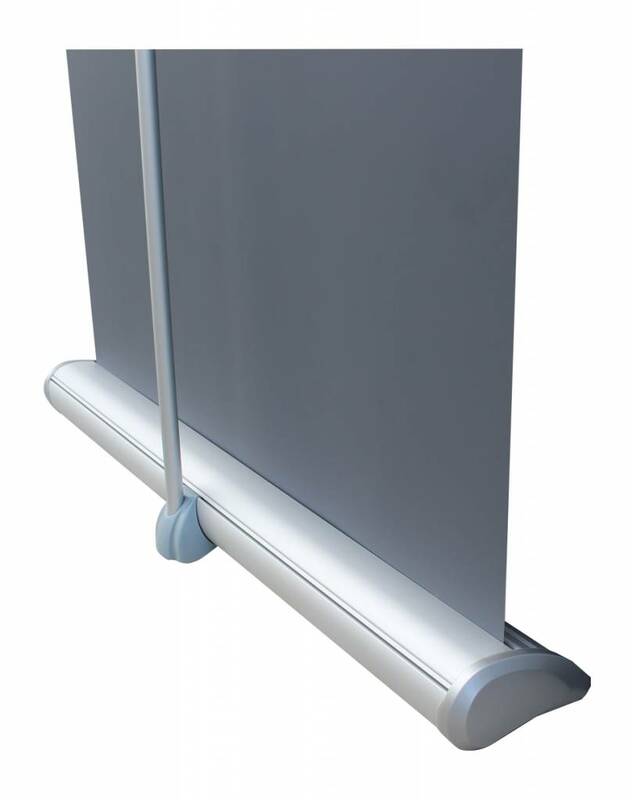 The roll up deluxe is supplied with print and aluminium housing, and is highly suitable for shops, showrooms and window displays. 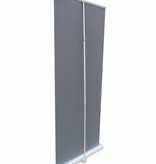 The wide cassette gives the roll up banner extra stability.